About Danny A. Cabrera C.Ht. Danny Cabrera has always had a passion for helping others. He knew as a young boy that he wanted to help other people improve their lives, and counseling was a natural career path for him. Danny first became interested in psychology and counseling through the classic Hollywood movie Now, Voyager. Until seeing this film Danny, the young boy, had no idea there was such a thing as a career in counseling and psychology. Now, Voyager is a story of a woman Charlotte Vale, played by Bette Davis, whose life is in disarray and crisis. She is at the verge of a nervous breakdown. She crosses life’s paths with a psychiatrist Dr. Jaquith, played by Claude Rains. Through care and counseling Dr. Jaquith changes Charlotte’s life from dismay and sadness to a life filled with love, joy and adventure. Inspired by this movie Danny earned a Psychology degree and a Counseling degree from Ottawa University in Arizona and studied hypnosis from New Beginnings Wellness Institute in Phoenix. He feels fortunate too, to have also studied and mentored under the tutelage of Dr. Edwin Druding, a direct disciple of Milton Erickson, the father of modern hypnotherapy. 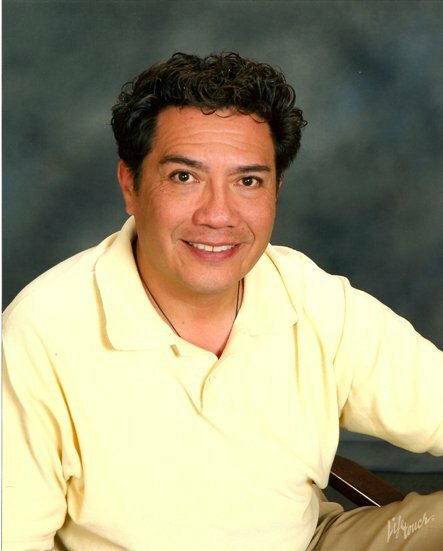 Danny established his own private practice in Phoenix Arizona in 1996 and has done extensive hypnosis work with Phoenix Shanti, a former center for people with A.I.D.S./HIV and alcohol/drug rehabilitation. In every aspect of his life, Danny promotes a holistic approach. He believes it takes the mind, body, and spirt together to heal. He found hypnotherapy to be an excellent fit with his personal philosophy. Using hypnosis as a tool to help you simply become more relaxed, Danny is better able to connect with you and communicate with your subconscious, our operating power house aking it easier to eliminate the underlying causes of depression, anxiety, phobias as other issues affecting our human condition as well as supporting self-improvements and the ability to focus more clearly. As a therapist, Danny believes that you have the power within yourself to change, no matter who you are or what your circumstances have been. Once your conscious mind has made the decision to change, hypnosis is a tool that can convince your subconscious mind to more easily embrace that change, hence his slogan; Your Mind is the Greatest Vessel! Danny believes that you can move forward with life in a positive productive manner, and he can help you find that path. Just as Dr. Jaquith did with Charlotte Vale In the movie Now, Voyager. If you or someone you know needs help moving forward, fill out the contact form or call him at 602-301-6551.